There are people who are attracted to the prospect of oppressing others. Authoritarian personality characteristics form a continuum, from low to high, in the human population1. This discovery means that approximately 16% of the population possesses a personality profile that is significantly more authoritarian than average. As with so many breakthroughs in personality research, the person who initiated scientific explorations of this topic was Hans Eysenck. Eysenck’s interest in the personality predictors of political extremism was perhaps forged by his experience of growing up in pre-war Germany2. It was, therefore, a central irony of Eysenck’s life that he fled from Germany to escape fascism in the 1930’s, only to fall foul of communism once in Britain3. In a convergence of life and science, this irony did not escape Eysenck’s attention and he began researching the personality correlates of political extremism4.The crucial insight stemming from Eysenck’s work is that the specific flavour of extremism that people with highly authoritarian personalities support is immaterial. They merely gravitate towards whatever regime will give them a flag of convenience to act out their oppressive urges. In the 1970’s in Europe it was such entities as the Red Brigade or the Baader-Meinhof Gang. Now it happens to be Islamic extremism. We have seen this flag of convenience tendency illustrated in recent years by the discovery that many Jihadists come from middleclass Westernised, Muslim families and some have even turned out to be of white, Christian origin. Looking further back in history, we can see Eysenck’s discovery illustrated even more clearly by evidence that, if one extremist regime collapses, its supporters readily switch their allegiance to another extremist regime, even if its dogma is opposite to that of the regime that they previously supported. Perhaps the most vivid illustration of this flip-flopping tendency amongst extremists occurred in Hungary following the end of the Second World War, when the fascist Arrow Cross Party that had ruled Hungary from 15th October 1944 to 28th March 1945 was replaced by a communist regime. What is notable about this event is that individuals who were previously card-carrying members of the Arrow Cross Party joined the Hungarian Communist party5. These were the same people, carrying out the same oppressive behaviour for both regimes, but in the process of doing so, had reversed from one end of the political spectrum to the other. 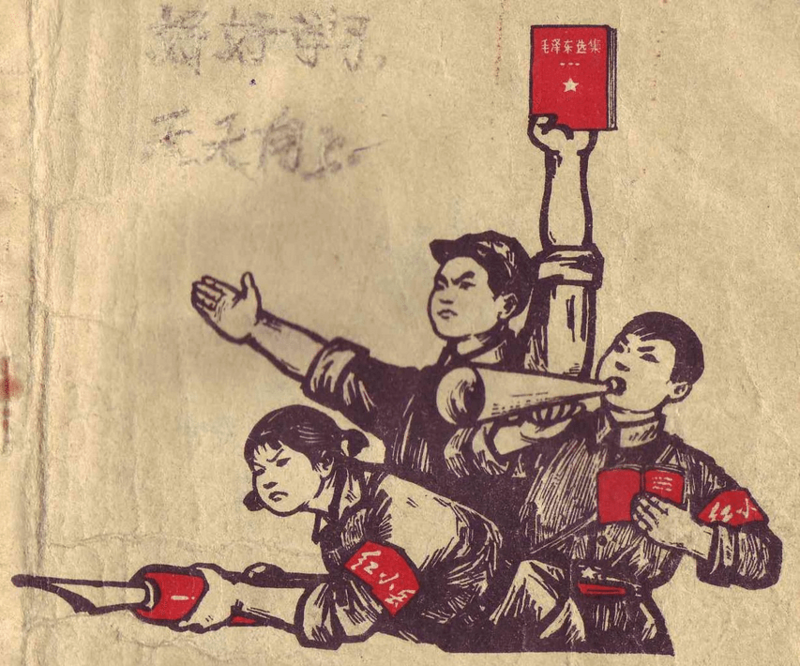 The key to a harmonious society is therefore not to crack down on one flavour of extremism, because its supporters will see the way the wind is blowing and will backflip in their allegiances, joining in the crackdown on their former comrades. Instead the key is that extremist regimes, whether communist, fascist or religious are always dictatorships. This tells us there is something special about democracy that prevents extremists gaining power. My guess is that because political extremism appeals to a minority whose personality attributes mean that they enjoy oppressing other people, it doesn’t appeal to the majority, who possess average personality profiles and thus are not especially attracted to oppressive behaviour. Because democracy reflects the will of the majority, extremists will never win a fair election. Therefore I suggest that the take home message from the recent atrocities in Paris is that we must do more to encourage the spread of democracy around the world, starving extremists of their authoritarian power base. Adam Perkins is a Lecturer in the Neurobiology of Personality at Kings College London. His book ‘The Welfare Trait: how state benefits affect personality’, was published in November 2015 by Palgrave Macmillan. Ludeke, S. G., & Krueger, R. F. (2013). Authoritarianism as a personality trait: Evidence from a longitudinal behavior genetic study. Personality and Individual Differences, 55, 480-484. Corr, P. J. (2016a). Hans Eysenck: A Contradictory Psychology. London: Palgrave Macmillan. Corr, P. J. (2016b). The centenary of a maverick: Philip J. Corr on the life and work of Hans J. Eysenck. The Psychologist, submitted. Eysenck, H. J. (1954). The Psychology of Politics. London: Routledge and Keegan Paul. Borhi, L. (2004). Hungary in the Cold War 1945-1956. Budapest: Central European University Press. Promoting democracy needs a method. To borrow from Haidt, we’re faced with a left which is authoritarian because it places an absolute premium on fairness, caring and on opposing oppression. & with Islamists who are authoritarian because they put the premium on sanctity, tradition and loyalty. We need the leftists to put more value on sanctity and tradition. And for the Islamists to value fairness and caring. They should get together and thrash out a synthesis for a new political centre ground – just so long as they don’t end up sanctifying PC, policing language, and enforcing purity laws as the best & fairest way to care for people. But maybe that already happened. So the promotion of democracy is (??) a side-effect of opening people up to the idea that making a totem out of only one, or just a subset, of these aspects of personality, is going to leave them stunted and self-absorbed. These “democracies” may be better than dictatorships, but they are not free from authoritarianism. It’s simply more moderate and subtle, less provoking of outrage. We are still controlled by those who like to control, policed by those who like to police, with the citizen who casts their vote being many steps removed from the actual application of the powers granted. I would assume that the typical politician, judge, or police officer is plucked from that 16%. ah, authoritarianism, the undoer of collectivist revolutions. It’s sad, because it’s what the Communinst regimes had in common with the old time ones, not what separated them that made them so bad . . .
Why are you even quoting an old racist right-winger like Eysenck? Pick up Adorno, his seminal book on https://en.wikipedia.org/wiki/The_Authoritarian_Personality was published in 1950, incidentally years before Eysenck. Tut tut…you’re right about Adorno, but your uncontrollable bile needs treatment. Hi ZZZ, thanks for your comment. I don’t think it’s quite as simple as that: Eysenck’s finding that fascists and communists share a personality tendency towards authoritarianism (Eysenck, 1954) was widely ridiculed at the time (e.g., Rokeach & Hanley, 1956), yet it seems Eysenck has the last laugh, as modern research now backs up his claim that authoritarian attitudes are not the preserve of the extreme right, but are also found on the extreme left wing of the political spectrum (e.g., de Regt, Mortelsman & Smits, 2011) – a position that even his arch-critic, Rokeach (1973), later conceded. Here is a topical example an authoritarian personality type on the left side of the political spectrum. Thanks John, your work is interesting and topical as it seems there is a resurgence in appreciation for the personality-based approach to understanding authoritarianism, as typified by the work of Eysenck. I suspect this whole idea starts with some assumption like “some people are more authoritarian than others,” right, like the rest? So now we’re doing studies with groups we have deemed to be authoritarian and groups we have deemed are not, or less so and we’re comparing them against one another, just like socscience studies on corporal punishment did, comparing parents who use corporal punishment with those who “don’t” or use it less . . .
Who is not “authoritarian?” Is there some other system in the world to choose? How ‘enlightened’. The author’s central point amounts to a truism. Dictatorships can be popular and thus not extreme. Claiming all democratically elected/populist dictatorships as ‘not having won a fair election’ is a no true Scotsman fallacy. Brave New World is more oppressive than 1984. Thanks for your comment Gustav – my central point may seem like a truism to informed commentator such as yourself but even now many left-leaning academics persist, incorrectly, in maintaining that authoritarian personality traits are specific to the right hand end of the political spectrum. Check the scientific literature if you don’t believe me. With regard to your claim that “popular” dictatorships are not extreme, it seems to me that a popular dictatorship is an oxymoron, since if it is actually popular then it would be able to be come to power by the normal processes of democracy and thus would not be a dictatorship. Furthermore, you must be aware that dictatorships often hold unfair elections (e.g., with only one name on the ballot paper) in an effort to give themselves the veneer of being democratically elected. Surely you are not suggesting that such charades are equivalent to a fair election as conducted in typical Western democracies? not strictly true! Sometimes a dictator turns out to be better than the system before of the dictator before. Sometimes they’re popular, many abusers and authoritarians are popular, lots of people respect power and firmness, what ideal, theoretical world are you talking about where all bad people are correctly reviled and only the best ones held up? The world’s a very grey place. I’m afraid it’s true, authoritarianism is not specific to one particular political leaning, duh. If fact, except for some small, short lived religious communities, authoritarianism is common to all political movements, it’s what turns socialist revolutions into dictatorships and it turns capitalist countries into oligarchies. And it’s fractal, authority as our only system starts at home, in the family, with the parents, and that’s the thing – if there is authority, no other system can compete: where is a place for cooperation if you know they’re going to get forceful on you if you don’t? In this sense, there really are no “other” political systems, not yet anyway.